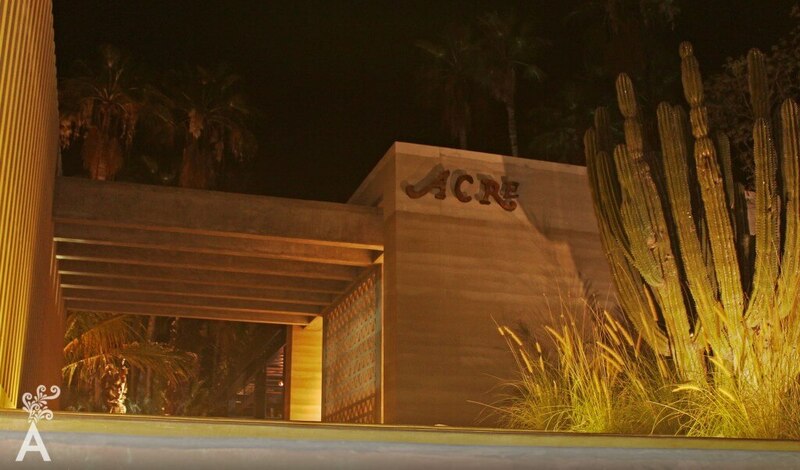 I received an invitation from my friends of the restaurant Acre to cook with them. Chefs Kevin and Oscar welcomed me and opened the door to their kitchen so that we could prepare a dish with organic products grown right there at the property. While Chef Oscar gave me a tour of the kitchen, I was able to quickly and easily identify the ingredients I would use for the dish. I took some holy leaf, sage, heirloom baby tomatoes, chinese naranjitas, honey from Miraflores and tender peas. With these ingredients, I prepared a chutney to season a roasted chicken. I liked the open kitchen design. You can cook as I like: rustic style over an open fire. 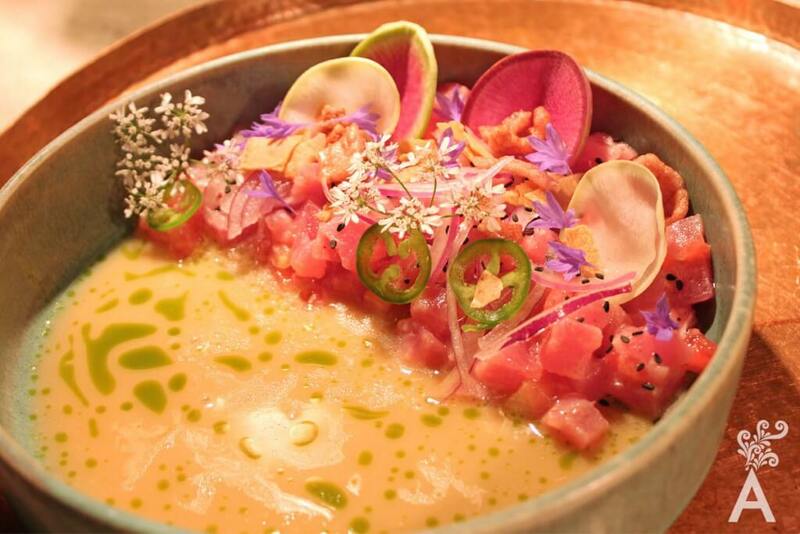 The chefs prepared a tuna ceviche with delicious tiger milk and decorated with flowers and radishes from the garden. It was a true delight for the eyes, but even more for the palate. I truly recommend that you visit Acre and enjoy the natural environment and food. 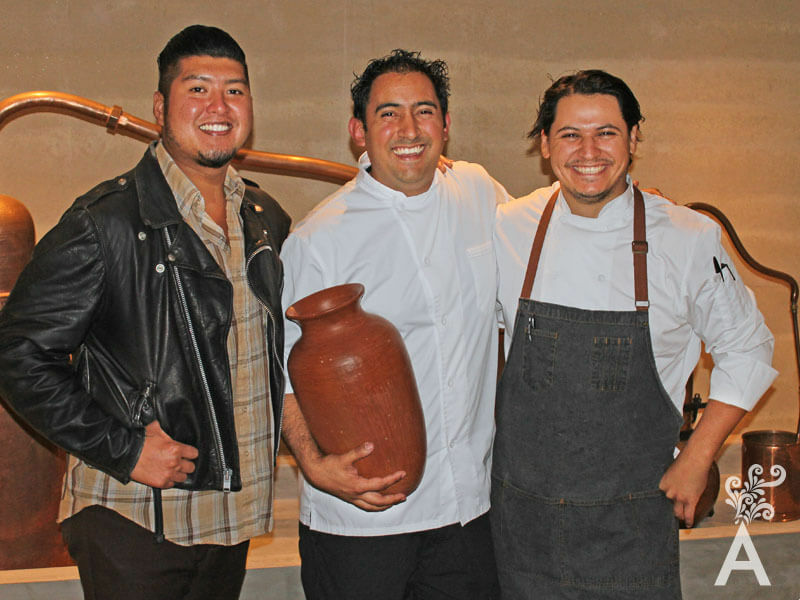 Chefs Kevin and Oscar are waiting to surprise you with a delicious menu.